Who: All Alabama & surrounding area homeschool teens, grades 9 – 12 and ages 14 to 20, regardless of cover school are invited. Non-homeschooler guests are also invited, please see website for information. When: Saturday, April 9, 2016 from 7pm to 11pm. Cost: Tickets are $35 each through midnight, March 26. Tickets go to $40 March 27 through April 7. 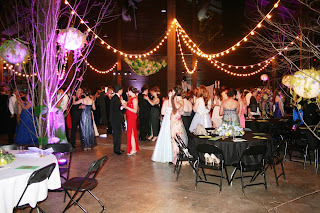 Tickets: Tickets for all high school grades are available online at through TicketLeap: http://timeless-homeschool-events.ticketleap.com/huntsvillehomeschoolprom2016/ now until April 7, 2016. Tickets will not be sold at the Prom! T-shirts and prom photo packages may also be ordered online. Menu: Hot and cold hors d’oeuvres and beverages will be available throughout the evening. Photos: A professional photographer, Eric Mittman ( www.emphoto.org ), will be available from 6:00 to 9:00pm on the night of the Prom for formal photos. Photo packages can be pre-ordered; see our TicketLeap website for details. Chaperones: The entire evening will be chaperoned by volunteer adults, with venue security provided by the Huntsville City Police. We require an emergency contact phone number for every attendee. Due to space constraints, parents may not accompany their children to check-in (unless there is a special need). Pick-up time is 11:00pm.